Global sales of mobile games now surpass all other formats combined. Growth in Asia provides the catalyst for the decade ahead. Activision Blizzard retains its world-leading base of talent and expertise while partnering with Tencent for distribution supports key growth markets across the Asia Pacific. Activision Blizzard (ATVI) continues to expand within mobile and is the de facto leader within Esports due to substantial investment in recent years. The compelling partnership with Tencent (OTCPK:TCEHY) provides a firm growth catalyst for exploiting its IP portfolio in a mobile format, especially notable in China. Furthermore, fundamentals remain strong with low debt and high levels of cash and equivalents on hand. This provides opportunities for deployment through 2020-2021 via M&A activity or perhaps organic growth, though this remains less likely. The synergies between mobile and Tencent alongside the continued push into Esports provides the upside catalysts for 2019, but a weaker title pipeline through this year is likely to be a material drag on wider company performance. Activision Blizzard formed as the result of a merger in December 2007. Prior to this, the group existed as separate entities Vivendi Games (holding company for Blizzard Entertainment) and Activision respectively. This merger set the stage in creating the largest gaming company in the world, by measures of both revenues and market cap. The company continues to hold renowned titles from World of Warcraft to Call of Duty while innovating to create new franchises such as Hearthstone and Overwatch. Today, the company stands as a bastion of the industry, and this is from where it derives its core strengths. Activision Blizzard remains in possession of a second to none catalogue of historical titles and IP in addition to thousands of highly competent and talented creative and technical personnel. This is coupled with the financial clout to remain relevant in the industries ever-changing climate. For the first time in history, the 2018 global sales data released by Newzoo reports mobile games as generating more than 50% of aggregate revenues. This is a colossal shift compared to a decade ago, driven predominantly by strong growth across the Asia Pacific and, most notably, in China. When presenting Diablo Immortal at Blizzcon, the subsequent PR disaster of "But don't you guys have phones?" was met with frustration and disappointment by the demographics that attended. Yet, based on the data above, this is exactly what the majority of players want (on a global basis), a compelling mobile-first experience that brings elements of PC and console gaming into the mobile arena. Mobile games have been generally low budget in the past, at least in terms of development costs but this is starting to change. Today, companies such as Blizzard are now introducing large scale development teams to create a mobile-based offering that is substantially improved in terms of quality and depth compared to previous generations. Diablo Immortals is a reasonable example of this, and in this author's opinion, the mobile version will do well commercially despite the negative coverage seen across the West. This trend is set to continue, as growth across the US and Europe remains in high-single digits and growth in developing markets at low-double digits. In the author's opinion, this is the key reason for elevated equity prices across the gaming sector. The assumed global growth rates remain extremely strong, indicative of a favorable long-term environment that allows larger companies today to become even larger tomorrow while retaining or increasing overall margins. Activision Blizzard has had a turbulent year involving restructuring and redundancies across the group, as detailed in previous reports. However, the core competencies of internal talent, especially technical talent, remains robust and intact. This provides the foundation for expansion into Esports and mobile as quality will play the biggest role in a game's success or failure. Activision Blizzard formed a strategic partnership in 2012 providing Tencent with the license to operate Call of Duty Online across mainland China. This has proved extremely attractive for both parties with the latest collaboration being the release of Call of Duty Mobile in December 2018 (Destructoid, 2018). 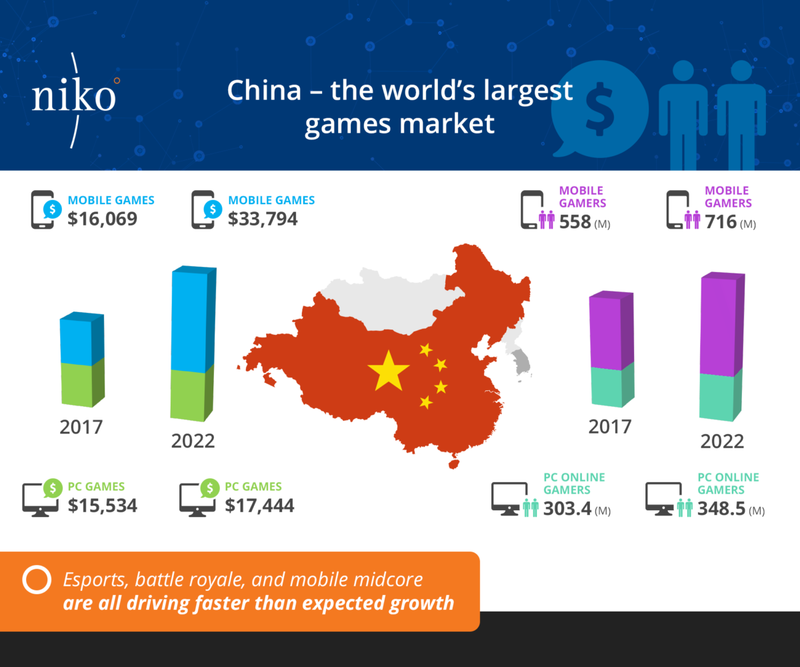 Tencent has longstanding experience with both developing and distributing mobile games across China, a feat western companies have found excruciatingly difficult to achieve. Allowing Tencent access to this IP allows Activision Blizzard to gain exposure to this market in a very low-risk way. The wider question of how Activision Blizzard develops its mobile portfolio internally remains questionable, but its acquisition of King does mean it retains substantial internal expertise in an area that crosses over well into the mobile sphere. In short, Activision Blizzard remains relatively capable compared to the competition in its capacity to seize opportunities within mobile gaming. As mentioned previously, the King's segment of the group recently reported topping $100m in ad revenues for the first time. This is expected to continue to grow, and worth mentioning as a similar model could be used in future mobile titles. Having pre-existing expertise in the form of King will allow this transition to be operationally easier with fewer unaccounted risks (Activision Blizzard, 2019). In the author's opinion, talent remains king, as great games drive commercial success. This is second to distribution, which the partnership with Tencent provides across China while the transition towards digital continues to build upon the fully owned distribution pipeline that is battle.net and the online store. Activision Blizzard remains ahead of most competitors through its continued heavy investment in this segment. The Overwatch League is the showcase candidate, built with Esports in mind. 2018 saw the overall sector grow by double-digit increases improving through 2019 with projections of $1.1bn indicative of a 26.7% YoY increase. The Overwatch League specifically reached circa 13m gamers, which is a comparable YoY increase of 30% (Activision Blizzard, 2019). Earlier this year, Blizzard announced that it had signed a multi-year sponsor deal with Coca-Cola (NYSE:KO) ahead of the 2019 season (ESPN, 2019). This is indicative of the rapid growth of the segment as multinationals start to find commercial value in both the demographic and its growing aggregate viewership numbers. 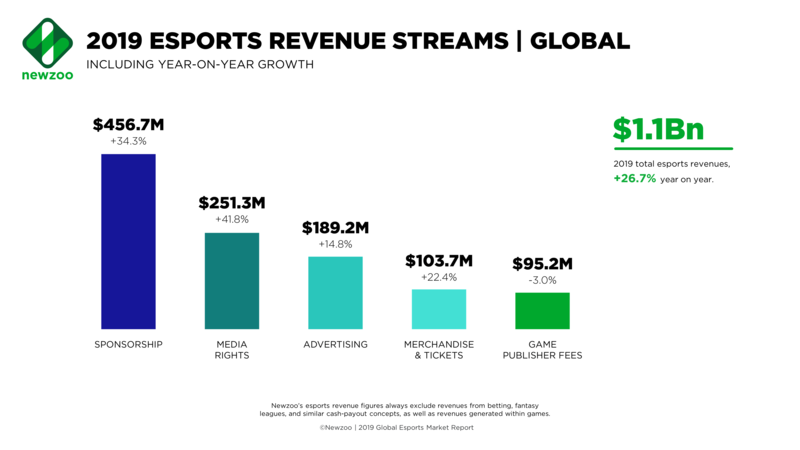 The long-term ambitions for Esports are to develop a platform as large as that of modern day sports, comparables such as basketball and football paint the picture for potential upside should this trend continue. Moving ahead, Activision has indicated it will release a Call of Duty style league through 2019 which analysts predict will be a runaway success (Call of Duty, 2019). The large existing fanbase will provide the catalyst for growth providing a distinct advantage compared to the launch of Overwatch. How Call of Duty performs compared to Overwatch, and more recently, Apex Legends will be pivotal to understanding if Activision is back on the right track and how it is able to capitalize on trends (in this case, the battle royale genre)? Esports today is a market in its infancy; however, if growth levels remain at current rates a decade from now, it has potential to be a material contributor to Activision Blizzard's bottom line. Sponsorship through 2019 by brands as significant as Coca Cola is a major step forward, as ad revenues will continue to drive the viability of this sector over upcoming years. The level of viewership is the metric to watch, as eyeballs translate directly into revenues. Maintaining a market cap of circa $35bn, the group trades at around 23x earnings which are expected to modestly improve through 2020. The balance sheet with aggregated long-term debt of circa $2.7bn is robustly supported by cash and equivalents of $4.2bn indicative of the relative balance sheet strength (Activision Blizzard, 2019). 2019 will remain a year of growth across Esports and will see the first Call of Duty mobile game hit the shelves. Analysts will be especially interested next month in understanding initial indicators in terms of metrics and how this segment of the mobile strategy is developing. However, the full-year lineup remains stagnant, with no major releases planned (with the exception of Warcraft Classic this Summer, perhaps). The overall outlook remains positive, but the continued absence of a strong title pipeline will continue to drag on wider investor sentiment through the year. 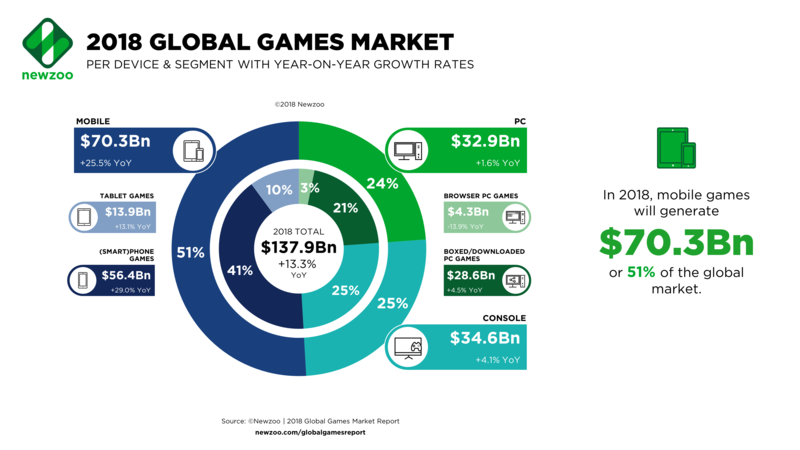 Despite a quiet 2019, in the author's opinion, Activision Blizzard looks set to deliver long-term value as it seizes on opportunities within mobile, Esports, and browser-based games alongside its traditional console and desktop markets. Disclosure: I am/we are long ATVI. I wrote this article myself, and it expresses my own opinions. I am not receiving compensation for it (other than from Seeking Alpha). I have no business relationship with any company whose stock is mentioned in this article.